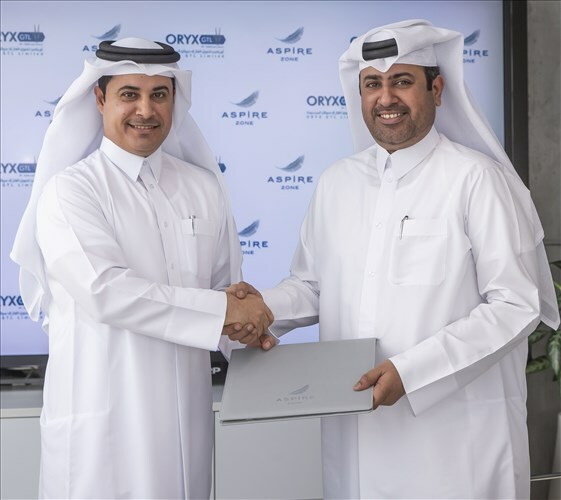 The agreement was signed at AZF’s Headquarters by Mr. Abdulla Nasser Al-Naemi, Director General, Aspire Logistics and Mohamed Al Enazi, Chief Administration Officer, ORYX GTL, in the presence of officials from ORYX GTL including Ibrahim Al Kuwari, CSR Coordinator. The support that ORYX GTLprovides to this unique CSR programme will benefit more than 27 participants with special needs, aged 5 and above who will be given customised swimming, snorkelling and scuba diving experiences and individualised training sessions. Freestyle Aquatics at Aspire is part of AZF’s Corporate Social Responsibility programme and builds on its existing efforts to provide people with disabilities with a wide range of opportunities to participate in sporting activity throughout the year. Creating such opportunities encourages people to maintain active and adopt healthy lifestyles, helping them feel included in the various local community activities underway in Qatar. The initiative started in November 2016 when AZF opened its indoor pool in Aspire Dome, the largest multi-purpose facility of its kind in the world. It was co-founded by Kathleen Bates and Jojo Musa, two volunteer coaches from Freestyle Aquatics. HavingAspire as such a central pillar of the programme has encouraged increasing numbers of families to register since launch.